A much younger and much cuter me! I grew up on a farm in the little town of St. Anthony, Idaho (or if you really want to get technical Wilford). Growing up I spent cold Idaho mornings milking cows in the dark (one of those things I like to mention to my kids to when I want to point out how much harder my life was than theirs is). I attended Teton Elementary where we got out of school for two weeks every October for potato harvest and (at the time) Hunter's Education was part of our sixth grade curriculum. One of my favorite field trips (I am not making this up) was to the rifle range. I liked it because the girls in my class were better shots than the boys were. I've always wanted to be a writer. I wrote my first book for my little brother, sewed the pages together and had one of my friends illustrate it. Once in sixth grade I started an underground newspaper. (I think it lasted like two issues.) In high school I was part of an all-girls yearbook staff. Because I had three brothers in sports, I was nominated to write all of the sports copy. I wrote about everything from football to wrestling to rodeo. 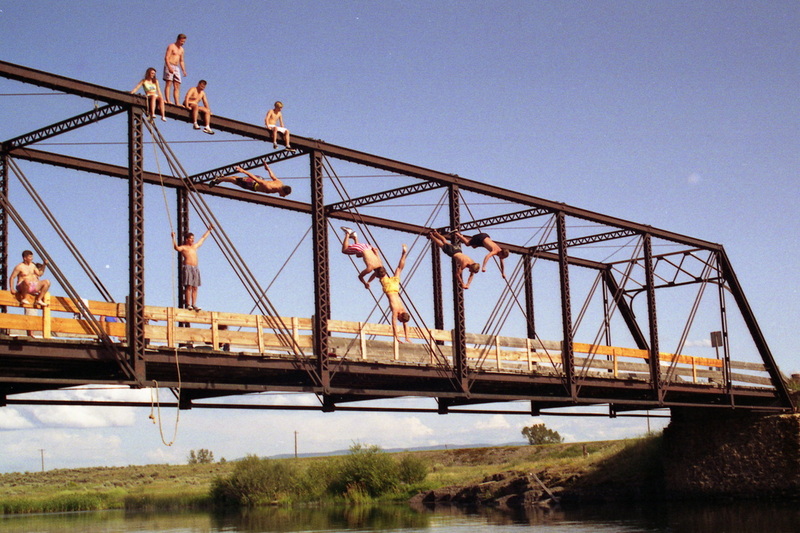 I spent summers bridge jumping (think cliff-diving like in Twilight, but not as extreme) and dragging main (also known as cruising main, or driving up and down main street, wasting gas and chasing guys from neighboring towns). I drove a sweet, red, 1971 Chevelle Malibu, that looked great but sometimes showed it's age. For example, the heater was stuck on full blast for an entire summer (then I think it died completely in time for Winter) and later, a short in the horn made it honk every time I stepped on the brake (embarrassing and yet strangely effective in the aforementioned dragging main). 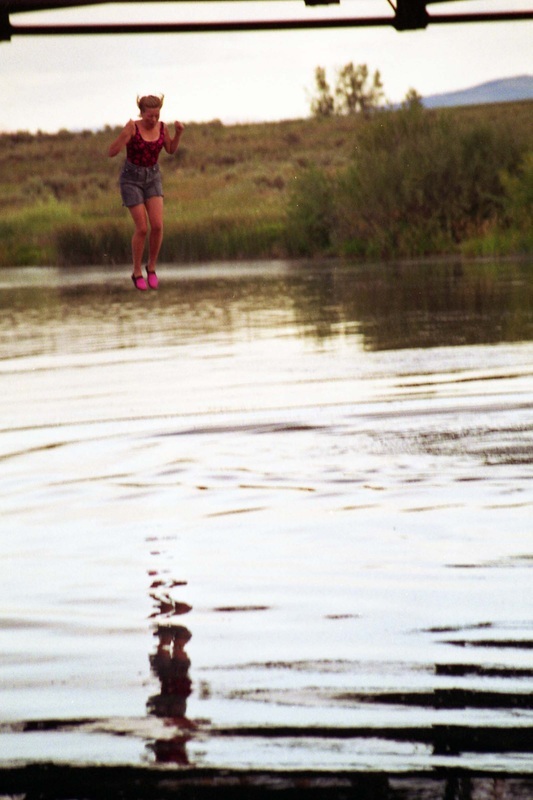 What Bridge-Jumping should look like (above) and what I looked like doing it. (right) I have the whole panicked arm-flapping thing down. I survived high school and went on to Ricks College (now BYU-Idaho) where I majored in Broadcast Communications. 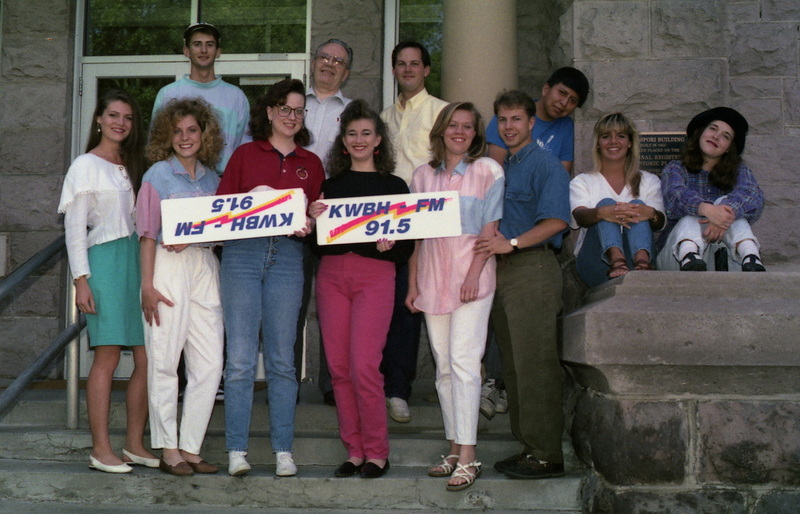 I was one of the founding DJs for a small campus radio station, KWBH. I met the love of my life at Ricks when he dropped me on my head during a volleyball game with my roommates. (Talk about bad pick up lines, I didn't even know his name.) It was love at first brain-jarring drop. We were married a year later and together we moved onto Brigham Young University, Provo. After two years of hanging out at at KBYU, the campus television station, and working on a film minor at a small motion picture studio, I left BYU with a degree in Broadcast Communications and a son. Four kids and a few moves later, I currently live in beautiful, green (rainy) Lacey, Washington. I love to produce videos, ski with my family, and read, but really all I have time for is chasing kids, cleaning up after kids, and writing. 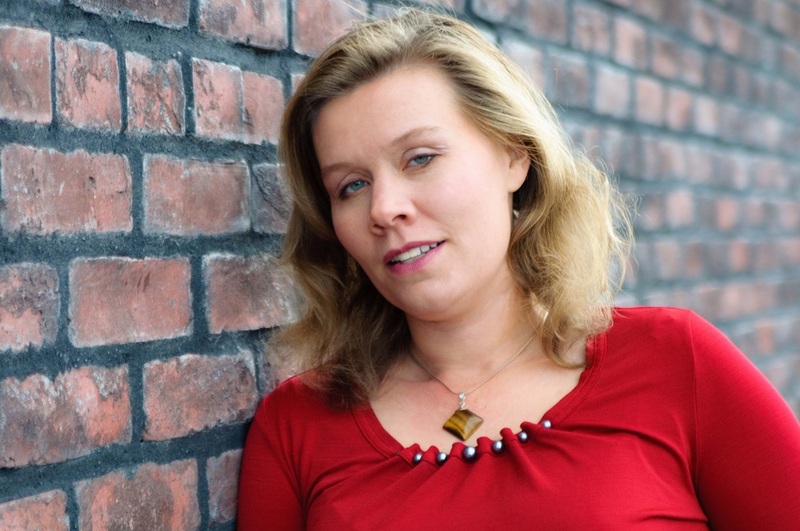 I'm represented by the lovely Sara Megibow with KT Literary.